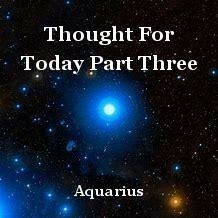 The continuation of Parts One and Two of 'Thought For Today'. Why Is Our World So Over-Crowded? Why Are We Not All The Same?